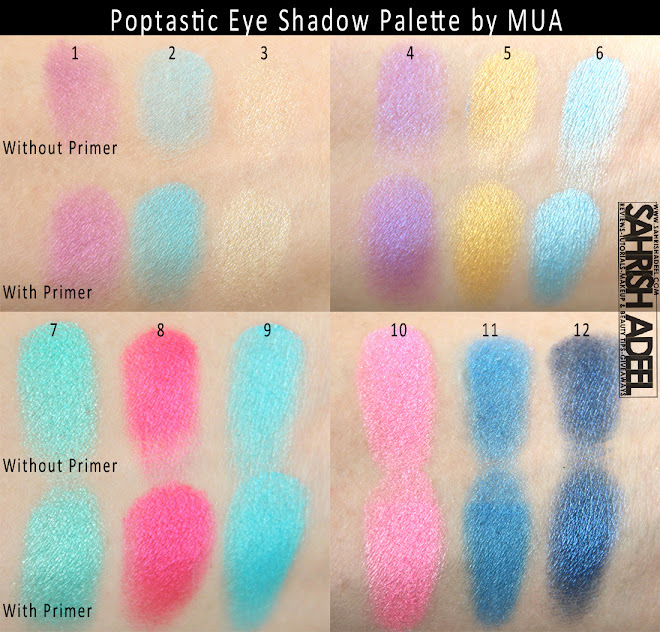 12 Shade Poptastic Palette by MUA - Makeup Academy - Review & Swatches | Sahrish Adeel - Malaysia based Pakistani Beauty & Lifestyle Blogger! Now that I have been using makeup for a long time, I prefer to have eye shadow palettes instead of single eye shadows. They are more budget friendly and occupies less space. MUA Eye Shadow Palettes have been in my use for quite some time and let's see if they are worth a try or not. 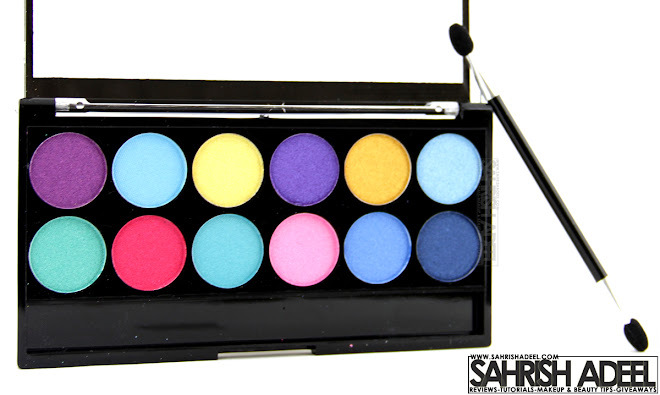 This 12 eye shadow palette comes in a plastic casing with transparent lid. 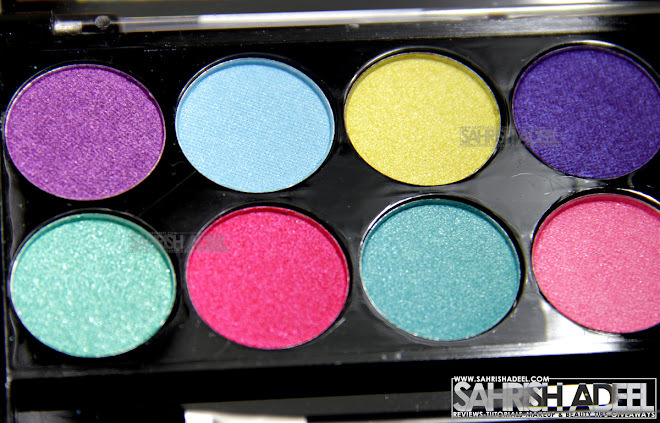 It has mix of shimmer and matte pressed eye shadows. the palette has total of 9.6 g of product so there is 0.8 g of product for each eye shadow, which is great. The palette also comes with a dual ended foam applicator. Stays on for more than 8 hours without creasing or toning down if applied over an eye primer. Transparent lid makes it easy to pick the palette from stash without opening it first which I really like. Applicator picks the product nicely. It has too many light blue/aqua shades. The collection would have been perfect with an orange, bronze and/or silver shade(s). I used Professional Eye Primer by MUA (review here) for these swatches. I have been using MUA eye shadow palettes for quite some time and I can proudly say that MUA's Immaculate Collection Palette (review here) is one of my favorite palettes. I always carry this one when I am travelling. I bought Poptastic eye shadow palette to satisfy my colorful and funky makeup needs and I am actually quite satisfied. This palette is so perfect for to create so many wearable and dramatic makeup looks. I used this some time back in Pink Makeup Look that I created for Breast Cancer Awareness Month. The packaging is quite good for the price and the foam applicator picks up the color nicely but I don't use foam applicator much. I really like palettes with transparent lids as I can see the shades without opening my palettes. If I talk about application, these eye shadows are really easy to pack on to the skin and pretty easy to blend with eye shadow brushes or fingers. The pigmentation is great and it even gets better with an eye primer underneath. As for the staying power, I always use an eye primer underneath my eye shadows and these stays for good 8-10 hours and might stay even more but I had to go to bed. I won't say that these eye shadow crease or tone down if not applied over an eye primer because whatever eye shadow I use on my oily lids, they never give good result and staying power. Overall, I am really happy with this eye shadow palette. I love the colors but I think there should be less blue in this palette. 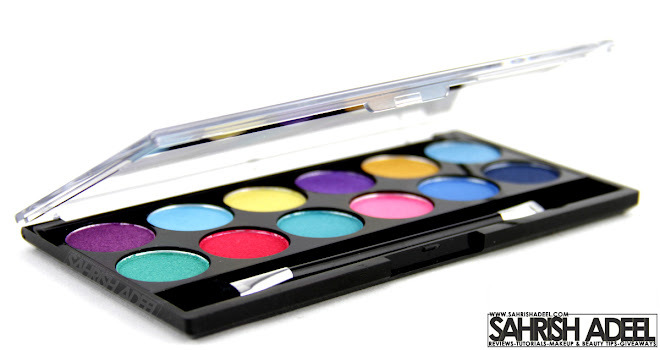 If you are looking for budget friendly, nicely pigmented and colorful eye shadow palette, you should give it a try. But make sure you use it over an eye primer on an eye shadow base for best results. I bought this for £4.00 for MUA's official website here. If you are living in Pakistan, you can buy it from Just4Girls.pk for reasonable price. 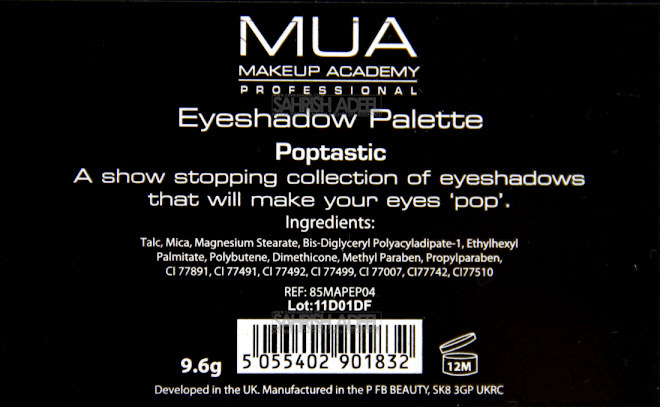 MUA - Makeup Academy products, click here. 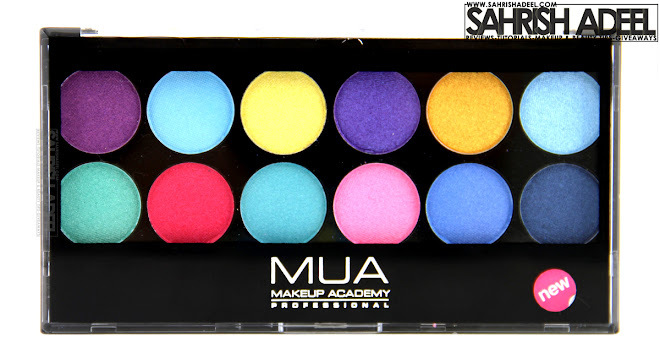 Did you try any of MUA's eye shadow palettes? How was your experience?